I struggle to find out who is stupider: BLOTUS or BLOTUS supporters. It could be that they are equally tied. Let's take this boarder wall. The man was partially elected on his campaign promise to built that wall, and make Mexico pay for it. So then he told his believers that we would pay for the wall, but bill Mexico for it. If anyone knows anything about BLOTUS is that he doesn't regularly pay his bills, or at least in full, so how did he think we'd bill Mexico for this wall. Better yet, to where would one even send the invoice? And at what exchange rate would it be paid. So, now it was on to Plan C: BLOTUS wants / wanted the DoD to pay for said wall. What BLOAT doesn't understand - nor do his legions - is that the Department of Defense budget is part of the U.S.Budget. The U.S. Budget is paid for by - ta da! - us. 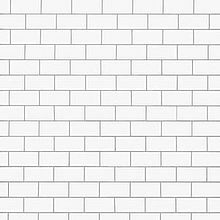 The wall he promised, he now wants us to pay for. I suppose that's all well and good for his "fans", as most of them work at Waffle House - because some bad hombres stole all the good paying jobs - and don't declare their tip(s), so they don't have any taxes to put towards the budget or the wall. This folks, is what we call a 'shell game'. You move the lie around so much, you don't know where it is or who said what or when. U.S.A. !! U.S.A. !!! U.S.A !! What we have here folks, is a distraction. Russia. Mueller. Sentencing. Chinese Tariffs. Stormy. Jared and his family fleecing any number of people out of millions. His Easter Egg Roll Stroke. Or it's a preemptive move on something coming down the pike. Yes, I'm sure those who voted for him will cheer and say, "See! He did it" - when he really didn't do anything. He'll spend the dough but still have no wall. So I've decided. BLOTUS voters are more stupid than the man himself. He's no Einstein, for sure, but he's smart enough to use smoke and mirrors to get election and cagey enough to manipulate a situation. I mean, you have been paying attention for the last 16 months, right? Or 38 months, if you want to go back to the beginning of his campaign. Yes it is - his voters are dumber than BLOTUS. .....and deep down, that's gotta hurt. nah, the dump and the dumptards are equally stupid. #THROWTHEMOUT! With this man at the wheel, we are subject to the automobile of state careening into walls, over curbs, through shrubs and it is clearly evident that the guy can't drive, but the driver keeps yelling PIPE DOWN.